Sunscreen is a necessity for most scuba divers, but not all sunblock is created equal. Some contain an ingredient that’s destroying coral reefs around the world. The evidence is so strong, Hawai’i may pass a law banning certain sunscreens. 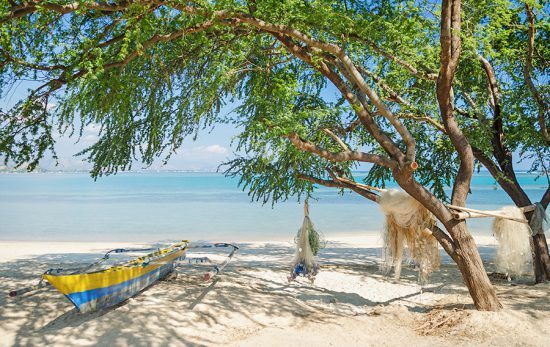 The primary chemical culprit is oxybenzone, an ingredient used in popular sunscreens made by Banana Boat, Coppertone, Neutrogena and others. A recent study found it only takes a tiny amount of toxic sunscreen to kill coral. One drop of sunscreen in 3.9 million gallons / 15 million litres of water is all it takes to damage a reef. – A “biodegradable” product does not mean it’s non-toxic. 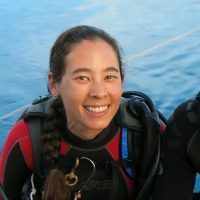 – According to NOAA: no sunscreen has been proven to be reef-friendly, but sunscreens made with titanium oxide or zinc oxide do not appear to be harmful to corals. – Chemical processes are used to create any sunscreen, even mineral-based ones. The truly natural solution is to wear clothing rather than sunblock. Choose to cover up rather than slather on. A long-sleeved rashguard with UV protection is a better environmental choice than any sunscreen. 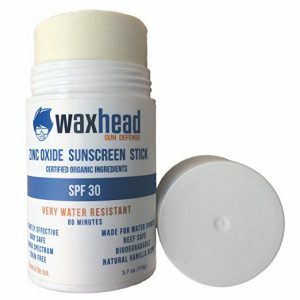 Read the label: avoid sunscreens containing oxybenzone, butylparaben, octinoxate or 4-methylbenzylidine camphor. Even a small amount can cause coral bleaching. Apply sunscreen at least 15 minutes before going in the water so the product can absorb into your skin. This also improves its effectiveness. Since we first started writing about reef safe sunscreens in 2013, the number of natural sunscreens has increased tremendously. Below is our updated list of the “best” sunscreens for scuba divers. List Criteria / Disclaimer: PADI® does not have a bio-chemist on staff, and we don’t have a lab to test hundreds of sunscreens. Luckily, there is an organization that does – EWG. 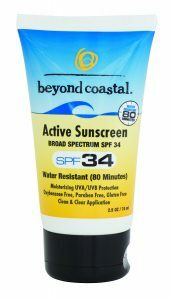 We compared their list of recommended sunscreens to products with a high number of positive reviews on Amazon.com. The sunscreens below are not endorsed by PADI; however if you buy one or more of the products below (where applicable), a portion of the sale will be donated to support conservation efforts of Project AWARE®. We chose sunscreens with a minimum 4-star rating on Amazon and a very low hazard score from EWG. Sunscreen sprays were the exception. There are no natural, spray-on sunscreens on EWG with a score lower than three. So, the sprays on our list have a maximum hazard score of 3 from EWG* and a minimum 3.5 star rating on Amazon. 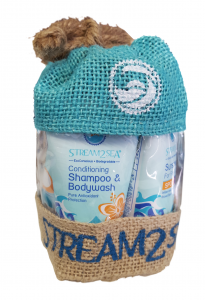 Special note: the first product on our list, Stream2Sea, has extensively researched and tested their product to ensure it’s as coral-friendly as possible. Visit their website to learn more. Choosing a natural or organic sunscreen is one element of the Ocean Health Pillar, one of PADI’s Four Pillars of Change. By reducing human pressures that threaten the future of our blue planet, we aim to make a significant impact on threats to our oceans. 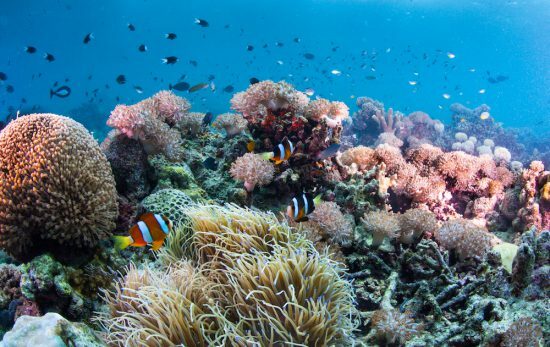 Keep in mind threats such as coastal pollution, overfishing, and sedimentation are a greater threat to coral reefs than sunscreen. PADI encourages all divers to make ocean-friendly choices in all aspects of their lives and support the conservation efforts of Project AWARE. *We also excluded sunscreens with ingredients the red zone or more than one yellow zone for health concerns or UVA/UVB balanced protection. 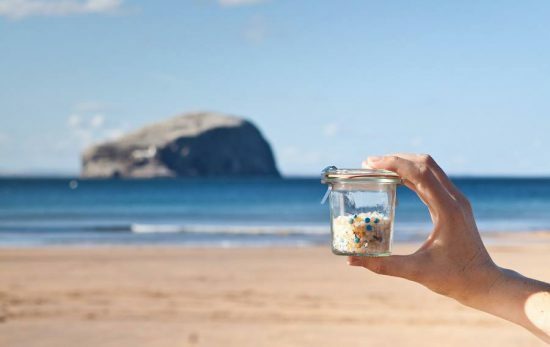 Learn more about how you can help benefit the health of the ocean through eliminating single-use plastics in your life.